We’d barely moved away from our warm Indian summer days in Colorado when winter showed its chilly face this weekend. Cold. Snow. The darkening days. Our thoughts turned inside. Fortunately the beautiful light and uplifting fragrances of Lafco candles (now available in our Showroom) transform our homes into sanctuaries. 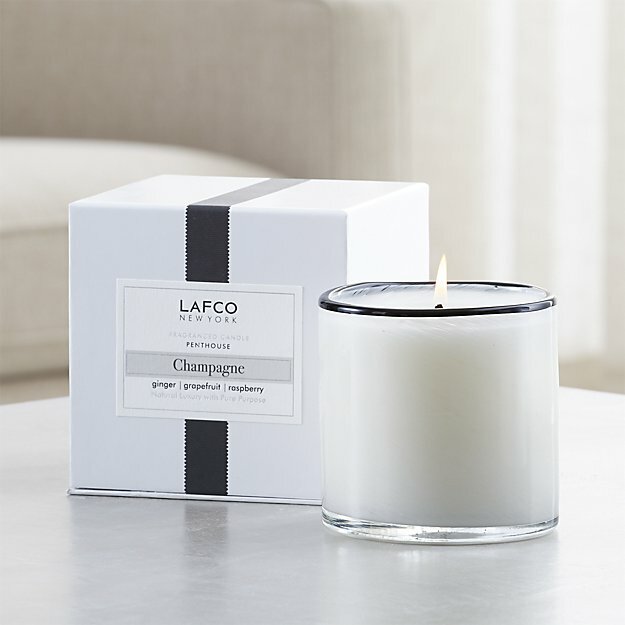 Lafco’s scented candles are wonderfully luxurious. They are made of 100% soy wax, which burns cleanly and for a long time. They are environmentally sustainable, petroleum-free, and vegan. They are about as different from ordinary paraffin candles as thoroughbred horses are from plastic unicorns. The unique scents come from blends of natural fragrances and essential oils; again, they are completely unlike headache-inducing synthetic fragrances that smother the air when burned. Lafco begins their formulation of blends with an idea – an essence to be captured – a fleeting memory that enriches our inner experience. The perfumer’s art takes years of testing to create a new fragrance; the results are distinctive, harmonious, and completely modern. The containers are hand-blown art glass. When the candle is finished, they transform into an object of beauty in themselves, whether set in a window to change the sunlight into pure color, or into a drinking vessel, a home for a plant, or whatever your imagination fancies. Please visit us at the Showroom to experience first-hand the natural luxury of Lafco. These candles will make welcome (and affordable!) gifts for your most discerning friends, too. Check back often to the website – Lafco’s new holiday fragrances will be arriving soon.